I recorded Every Grain of Sand for Linn Records in 2002 and it was the beginning of a love affair. 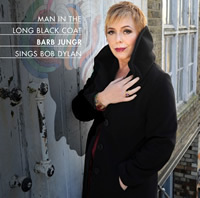 Once I had started singing Dylan's songs I couldn't stop, and recorded more over the last six years on various collections. As I started to venture out on another live tour celebrating Dylan's songs, Linn asked if we might collate all of the post-Every Grain of Sand recordings. So here they are, with the addition of four songs we've arranged and I've been singing live, newly recorded for this collection.